That second down was typical of Teddy not trusting what he sees at times and thus holding onto the ball. Better than big mistakes. Blair Walsh good from 39. #Vikings add on FG and lead 13-3 with 6:24 left to play. Walsh's 24th FG of the season. 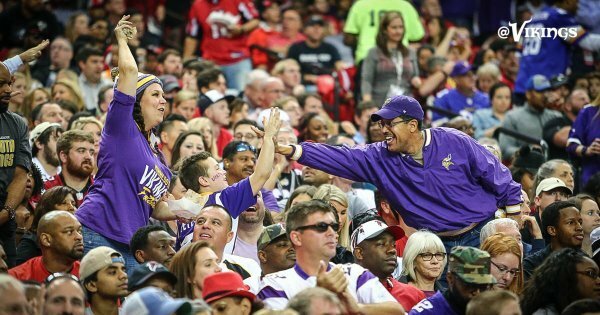 #Vikings take 13-3 lead, hold 31:41-21:55 edge in time of possession over Falcons. Adrian Peterson with 147 yards on 28 touches. The #Vikings took 8:26 off the clock before @BlairWalsh3 's FG. Wow, a linebacker even being around that play was impressive, although Coleman has to come down with that ball.
.@itheeayb starts the drive with a big play and ends it with another. #Vikings ball! 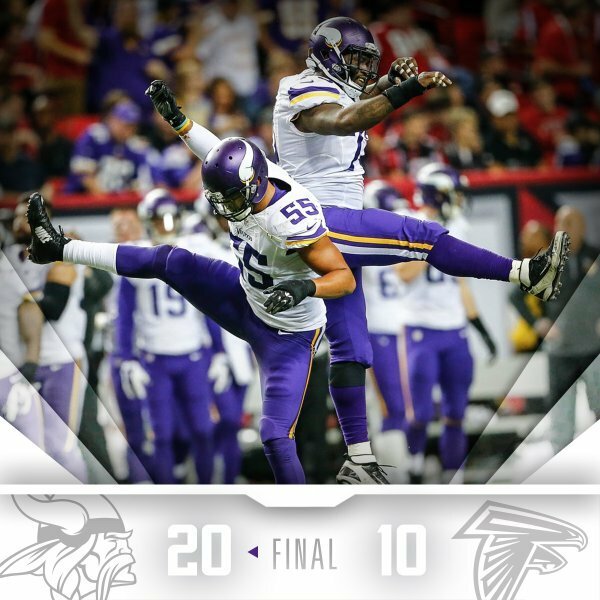 Not the prettiest game, but #Vikings doing exactly what they need to on the road. Heavy doses of Anthony Barr and Adrian Peterson. Anthony Barr's game today is the type of Pro Bowl performance I think we're going to eventually become used to seeing all the time. good road win against average team! where's asiata when atlanta needs him?
. @AdrianPeterson puts an exclamation point on it!
. 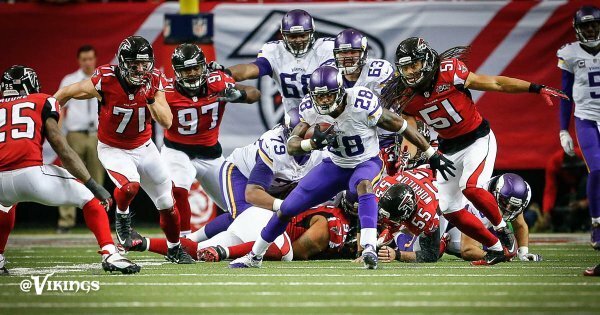 @AdrianPeterson with his 99th career TD (94th rushing) on a 35-yard scamper. #Vikings lead 20-3 with 4:23 to go. A late ATL cuts the #Vikings lead to 10 with 1:28 left. 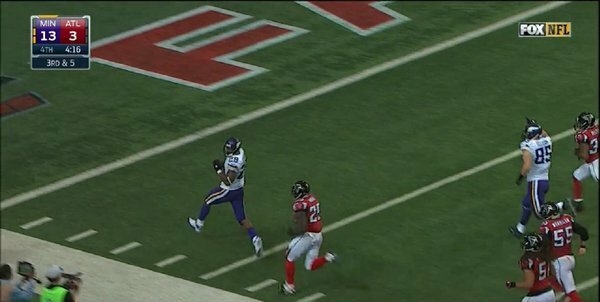 Falcons score TD but #Vikings recover onside kick. Lead 20-10 with 1:27 to play. OK, about to fire up #Vikings VentLine on @1500ESPN . Huge win. Your thoughts? 651-646-8255. Reading tweets too. #Vikings win their 4th consecutive road game for the first time since 1998. #Vikings improve to 8-3 on the season and currently in 1st place in the NFC North.